The ex-Ontario PC leader faced a complaint from a fellow MPP. Patrick Brown addresses supporters and the media in Toronto on Feb. 18, 2018. 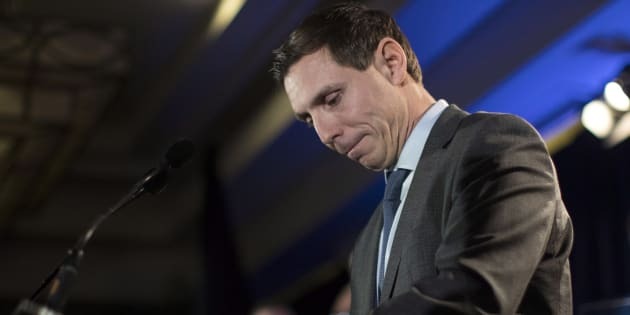 TORONTO — Ontario's integrity watchdog has found former Progressive Conservative leader Patrick Brown breached the laws that govern the conduct of provincial legislators. Integrity Commissioner J. David Wake says in a statement that Brown breached the Member's Integrity Act over several matters involving his personal finances, but there was insufficient evidence to find him in breach over alleged travel violations. Tory legislator Randy Hillier filed a complaint in February alleging Brown "engaged in dirty and crooked politics," and asked the commissioner to investigate the former leader's travel and finances. Wake says in the course of the investigation Brown admitted he failed to disclose rental income on his personal residence in 2016 and 2017 and failed to disclose a loan from a former Tory candidate in Brampton in 2016 and 2017. Wake recommends that Brown be issued a reprimand over the breaches and left the matter to legislators at Queen's Park to debate. In a post on Twitter, Brown says he accepts the reccomended reprimand and apologizes for not disclosing "limited" rental income and a temporary second mortgage. Brown was forced to resign his post as Tory leader in January after sexual misconduct allegations were levelled against him in a report by CTV News. Brown has vehemently denied the accusations.